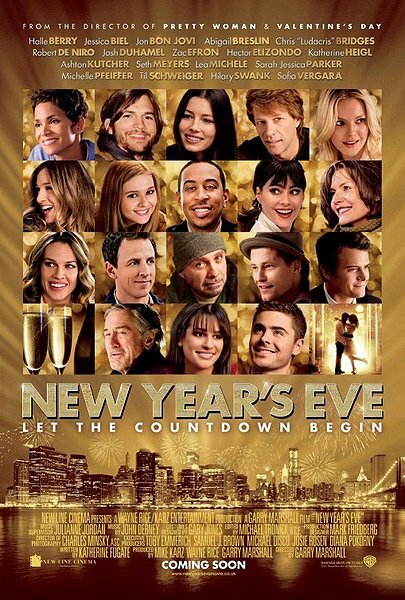 New Year’s Eve deserves the 8% rating on Rotten Tomatoes. However, it didn’t deserve the amount of critical hatred that was heaped upon it. Movie critics unleashed fury buried since their childhood on this film. They watched the movie, loaded up all their vitriol and then spewed hellfire and damnation upon it. The critics were Joffrey Baratheon and the movie was Ned Stark. I say New Years Eve is like Ned because it tried to be nice and noble but it made all the wrong decisions and lead to a critical smooshing. I watched New Year’s Eve on a plane headed for Toronto. I told the man next to me I was watching it for a Bad Movie Tuesday post and he wished me luck and started Mission Impossible Four (wonderful movie). A random thought got me through the movie. If Lance Armstrong could survive cancer and become the world’s greatest cyclist I could survive a two-hour movie. I quickly learned that watching this movie was the equivalent of an insane uphill climb on the Tour de France. No matter how far you advance it is never as much as you’d like. The best reason to watch this film is to go against the hateful critics and try to find a silver lining amidst the drudgery. Why watch a film when all you want to do is be angry with it? I went into the film looking for positives. I stopped looking for positives roughly three minutes into the film when Michelle Pfeiffer’s naive character does a nose dive into some garbage and is rude to a man who tries to help her. I began to feel the sudden urge to turn this movie off and watch MI4. SIDENOTE: My girlfriend Megan and I tried to watch New Year’s Eve in the theaters but we bolted during this scene so we could watch the lovely War Horse. Greatest cinematic/date saving decision ever. So, instead of heaping praise or hate on this film I’m going to explain how it went wrong in a logical manner. First and foremost the film is a knock off of Valentine’s Day which is a rip off of Love Actually. There was a bit of anticipation for Valentine’s Day but it was quickly washed away when people saw the film. It was a box office success and director Gary Marshall quickly hired every actor he could find so he could capitalize on the success. The problem is that the film feels hasty. The characters are underwritten two-dimensional stereotypes who have names like Jensen and Kominski. No movie can be good if it has those names in it. Here are the eight stories. 1. Michelle Pfeiffer channels a mousy Rain Man and Zac Efron takes her on a road trip. 2. A depressed Kutcher gets stuck in an elevator with Lea Michele. 4. Katherine Heigl yells at Jon Bon Jovi whilst he looks to be reversing in age. 5. Robert DeNiro is a dying dude who is taken care of by the nicest human being in the history of the world played by Halle Berry. 6. Sarah Jessica Parker is a single mother who does lots of single mothering. 7. Josh Duhamel wears a tux and rides in an RV while a horny old guy pesters him. 8. 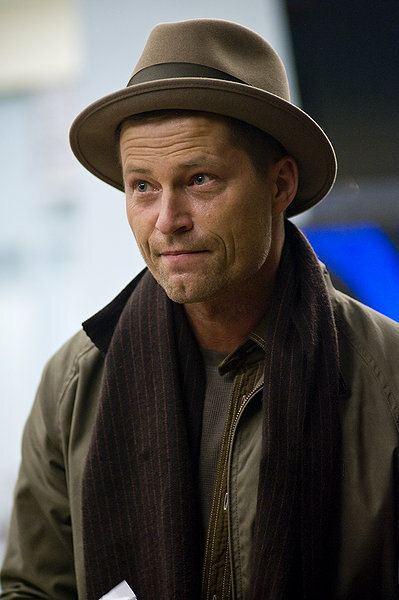 Jessica Biel threatens a pregnant woman while Seth Myers surprisingly doesn’t get beat up by an odd hat wearing Hugo Stiglitz. New Year’s Eve is not a terrible film worthy of condemnation and scorn. It will find an audience on TNT and is perfectly non-offensive. However, it is not a good film. I’ve never witnessed such underwritten characters and I’ve seen the movie Sand Worms. Do not watch this film. Watch Mission Impossible IV or War Horse instead. They have nothing to do with this film but I didn’t haven’t to channel Lance Armstrong to get through them.